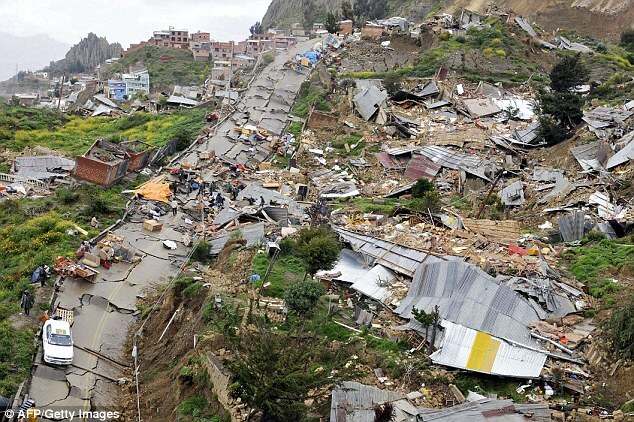 The landslide occurred in the city of La Paz is equivalent to an earthquake of 9 degrees on the Mercalli scale (maximum 12) as geophysical engineer Jose Luis Telleria said. However, the expert explained that it was not an earthquake. The slippage occurred between the evening of Saturday 26 and morning of Sunday, February 27, causing the fall of at least 250 homes, leaving 6,000 families homeless in 9 districts. Another 1,250 homes are to cracking and about to collapse. The expert, who is also professor of Geology at the Universidad Mayor de San Andrés, explains that the "giant" slip caused the movement of 12 million tons in 150 hectares of land. The affected area includes Pampahasi, Valley of Flowers, and Kallapa Kupini, southeast of La Paz. This city, according to research conducted by Telleria, had at least 35 risk areas, where residential settlements, are now 29 after recent slides. 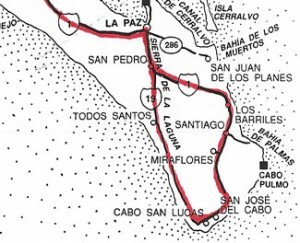 The geologist produced the first geological hazard map of La Paz in 2005 (reissued in 2010) which shows the location of all risk area. This informationshould prevent slum settlements in high risk areas and plan the future of La Paz. In regard to last week's slide in Kupini, geologist noted that prevention and timely evacuation time reflected the absence of injured. "There was a map that identified 35 risk areas. Now they are 29, because six disappeared at once," Telleria said.